We're planning our family packing party for next Saturday, so this may be the last stockpiling week before packing...now time to get busy with final preparations! We got a GREAT crafting donation! 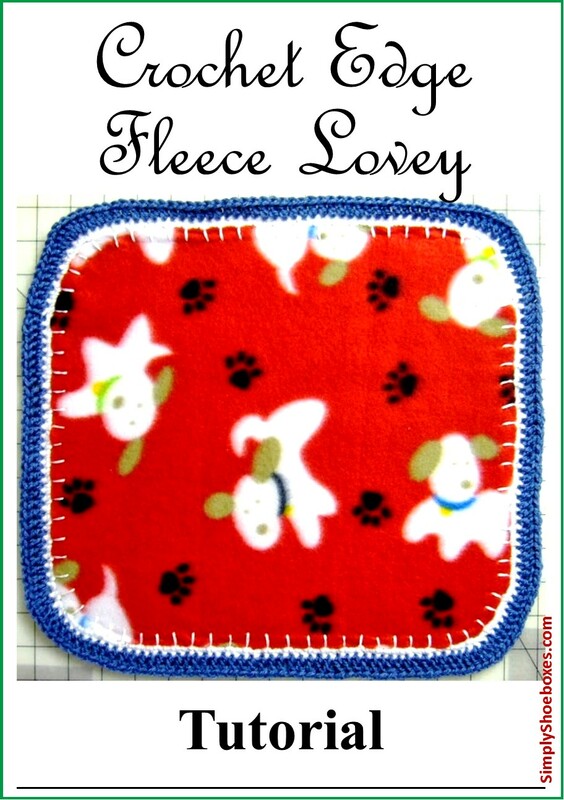 Lots of handmade goodies, plus some bonus items! I got my order from MDSupplies & Service's special Shoebox Shoppers order form, the rest of the needed toothbrush and soap cases. Got a cute stuffed animal with it's tag still on for 50 cents from a charity thrift store. And picked up some clearance school supplies from CVS for 75% off! Also got some good clearance at Dollar General. I always like to include games in Operation Christmas Child shoeboxs. 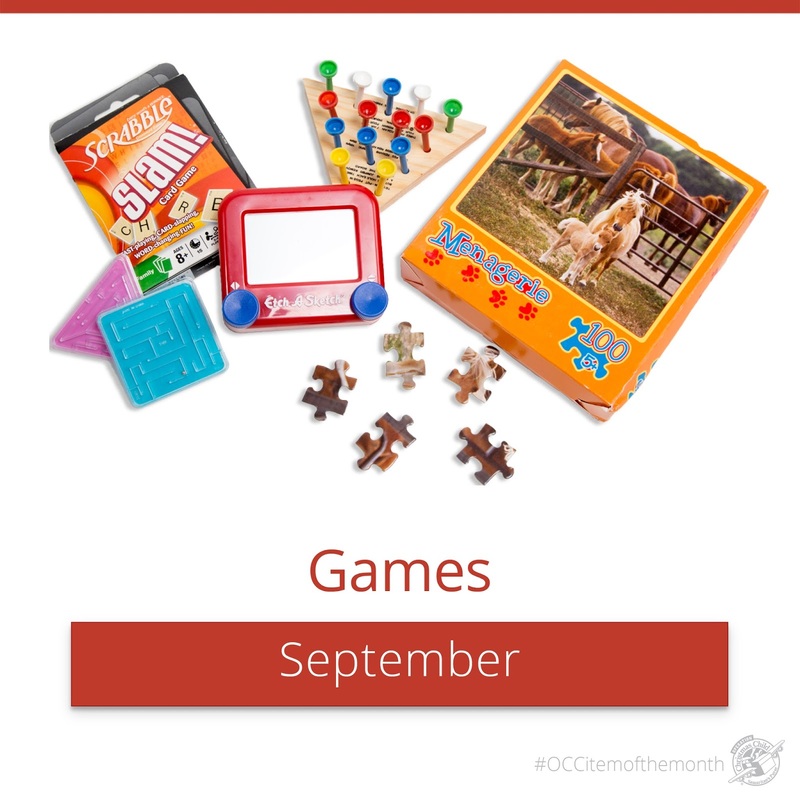 I like to give them something fun to play with, plus with a game they can play with others. I try to find ones with simple instructions or very common/universal like checkers. 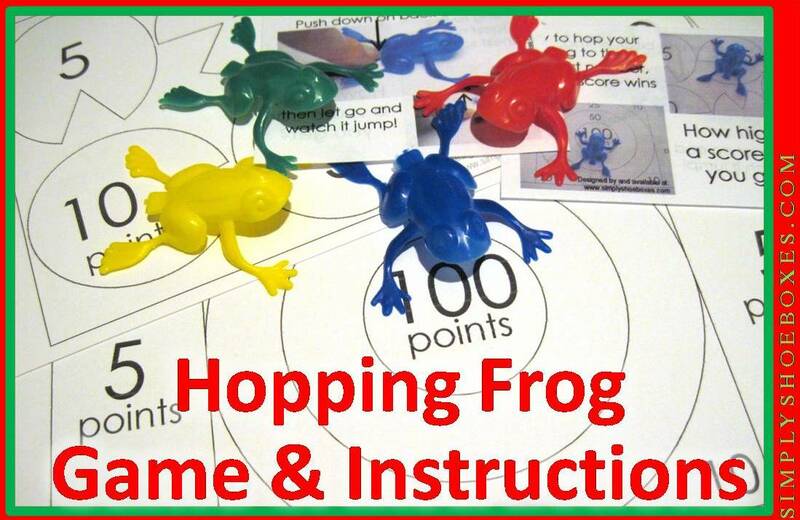 I'd seen some hopping/jumping frog games, but hadn't found a good price on them, then I found some frogs at a really good price ($4 for a gross at Kipp Brothers), but no instructions, or anything to really make it a game, so I got to work. I made printable instructions and game boards. The game boards are half paper sized so they can either be printed on card-stock (and even laminated) and laid in the bottom of even a Go Box and the frogs tucked in elsewhere. 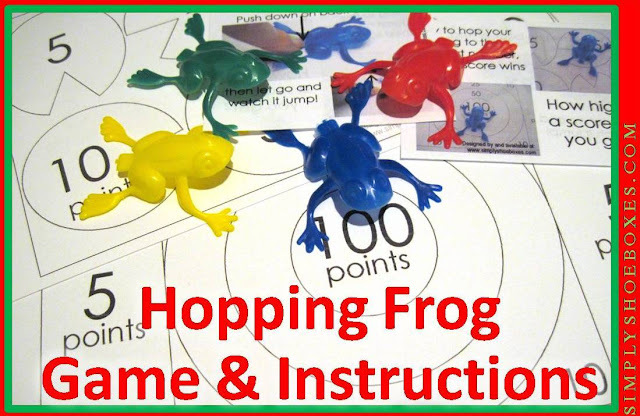 Or the boards can be folded in half in a zippered plastic bag with the frogs. Here are the printable sheets...you should be able to print each full sized on normal paper. 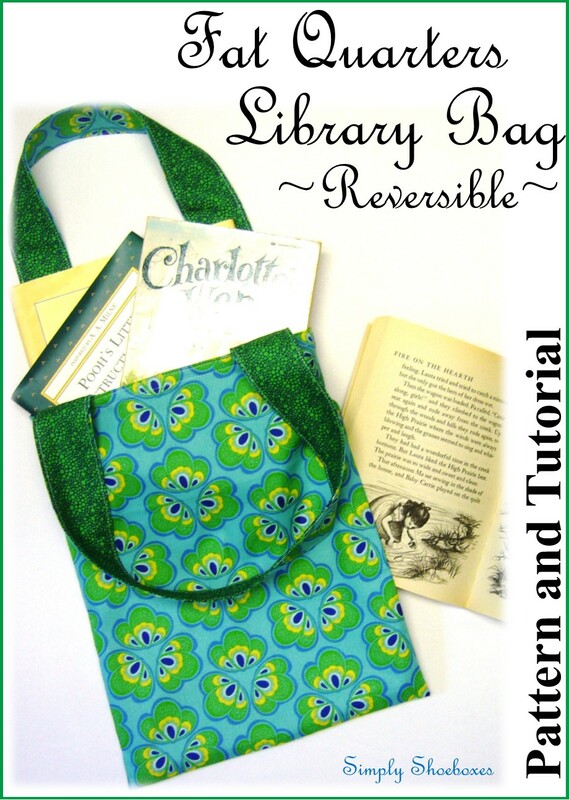 A small Library Bag with wide handles is the perfect tote bag to include in an Operation Christmas Child shoebox. It will roll up and tuck in without taking up much room and the handles will be useful in many cultures where the bags are carried on the head. In other cultures they can be thrown over a shoulder or carried by hand. My Dad & I both got a chance to double check CVS's 75% off clearance for Operation Christmas Child shoeboxes. Dad found lots of activity books I'd missed somehow-haha! And I found these t-shirts and dishcloths I'd missed (or maybe they had in back, and just got put out). Also the Lakers pads and pens I'd passed on because we're Cleveland fans, and I didn't think my family would be in to them, then I got thinking they'd make great fillers for Pencil Granny and Friends. Operation Christmas Child says they have an urgent need for school supply fillers. I made one up for a test...I think it turned out pretty cute!! I'm waiting to make the rest until after we pack our shoeboxes and see what all we have left. My sister also found these like-new stuffed animals for 50 cents a piece from a local thrift store-some still had tags on!! We include a stuffed animal in each Operation Christmas Child shoebox we pack. Wondering what type of box to pack in? Check out our post: What Kind of Box to Use for packing an Operation Christmas Child Shoebox. It's BACK!!!! Dial is once again offering printable coupons! Print it as soon as you can, they've only been available a short time each month. I've been getting on Dial Soap for my Operation Christmas Child shoeboxes. I only shopped at CVS this week for Operation Christmas Child shoeboxes, but after hitting multiple CVS stores with summer & Dollar Days both 75% off I got A LOT of stuff: 221 items (many of which were multi-packs, so actually more! (over $350 worth) Plus a great variety! 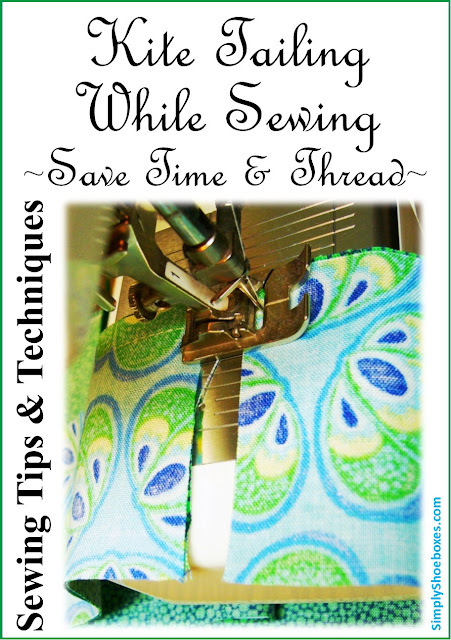 Practical stuff like T shirts and sewing kits and fun stuff like coloring books and jacks! I really needed the T shirts for the older boys, so really excited about that! 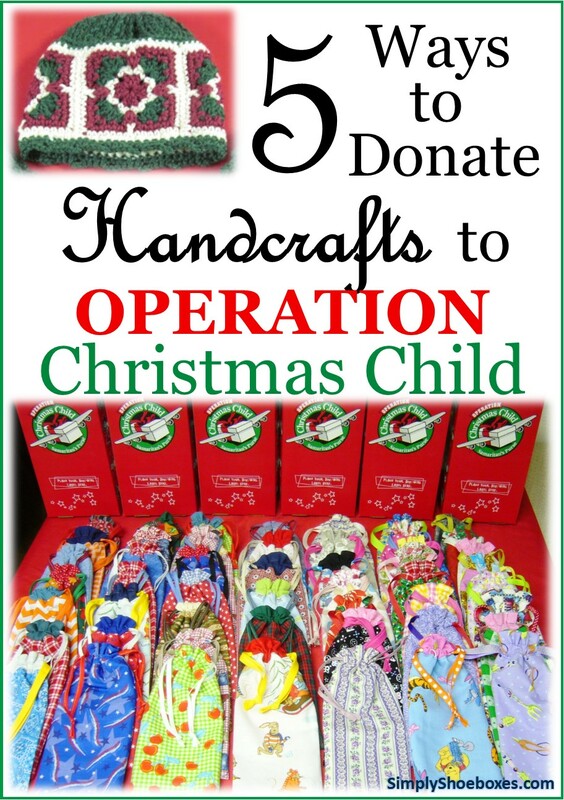 We have shared several ideas on Operation Christmas Child Shoebox Stockpile Organization if you are interested in seeing ways we keep or goodies until packing time. I got some more of the primary composition books I like to have to include in the 2-4 year old boxes, also some fun little bonuses. Got some great deals at CVS's 50% off Dollar Spot clearance. Got a few 2 hole pencil sharpeners for the thick pencils I got recently, my aunt reported she got some, too, so we should be set! Also, I got 3 of the pencil sharpeners at Office Depot, but forgot to take a photo of it-haha! I used rewards from previous purchases, so it didn't take any money out of pocket, you can learn more here. Each Saturday I share the additions to our stockpile. 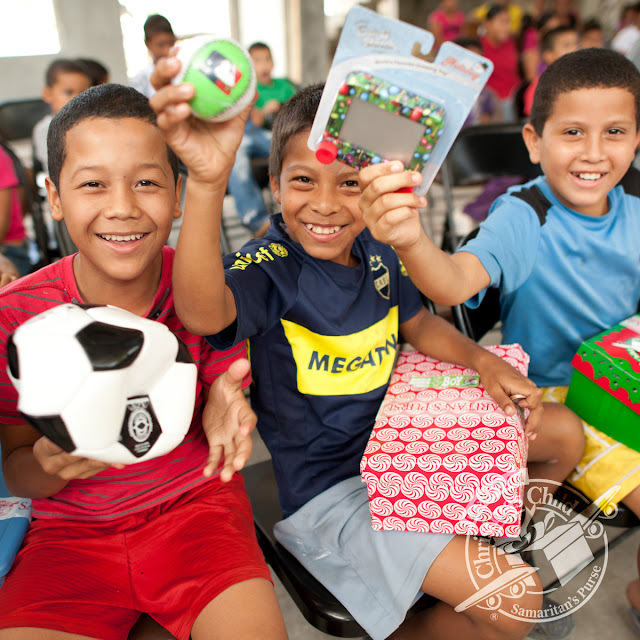 You can see all of them here: Adding to Our Operation Christmas Child Shoebox Stockpile.